Cucalorus 19 is here! Finally, we can chow down on popcorn and wacth movie after movie until our eyeballs explode! I would like to welcome MovieMaker Magazine. They are in town covering the event! So, are you ready for a full day of films from all around the world? I, however, gotta highlight the locals! The must see movies of the day! TODAY!! Don’t miss this presentation about the future of film and the incentive at Cucalorus Film Festival this Thursday, Nov. 14 at Thalian Hall at 4pm. State of the Slate: The Future of Film in North Carolina. This special panel presented by Entertainment Partners at the 19th Annual Cucalorus Film Festival will highlight the Film and Television production incentives tax structure and production resources that have made North Carolina an evolving filmmakers destination. GET ALL THE DETAILS NOW! 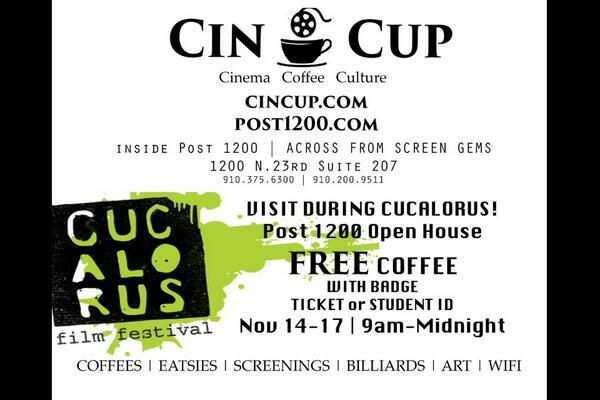 Also during Cucalorus, Post 1200 invites you to stop by their open house Thursday-Sunday. So many stars have passed through Post 1200 for some post work and it was also the production office for Hallmark’s Christmas in Conway. They will be doing some screenings and giving a tour of the facility along with some coffee and munchies! It a good place to just get away for a bit, have some fun and chill. They will begin principal photog in April 2014 and will shoot for about 4-6 weeks. Katrina Cook of Katz Kasting has been hired to cast principals. No word of them filming in Wilmywood, but I will keep you posted! This is a good deed project as they are donating a large portion of the proceeds to the Wounded Warrior Project. I like these kinds of flicks! Looking forward to hear more about it! Like the “Medal of Honor” page NOW!